Fabrisonic’s patented low-temperature 3D metal printing process, Ultrasonic Additive Manufacturing (UAM), is an enabling technology that allows engineers to print otherwise impossible heat exchangers. With UAM, designers can achieve dissimilar metals anywhere in the device, CNC surface finishes on both the exterior and interior surfaces, as well as the ability to embed sensors at any location in a given geometry. 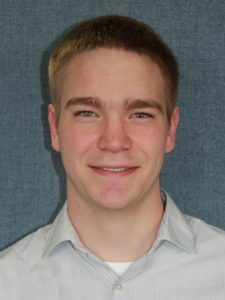 Below, hear from Justin Wenning, Product Engineer at Fabrisonic, about his work developing these unique heat exchangers. Copper is an advantageous metal to use for heat exchangers because it has twice the thermal conductivity of aluminum. However, copper is three times denser than aluminum, so it poses a weight trade-off in-flight applications. “The benefit of UAM is that we can selectively print copper in high heat flux areas where it is needed and then print the rest of the part out of aluminum to save on material cost and reduce weight,” says Justin. Printing copper in high heat flux regions leverages its ability to quickly wick heat away. However, printing surrounding structure out of aluminum takes advantage of its lightweight and high strength properties. UAM can print most metals, and due to the low temperature of the welding process, dissimilar metals can be welded at will without concern for unwanted metallurgical interactions. “For most thermal applications, you want smooth cooling passages because rough passages can affect fluid flow and create pressure issues,” says Justin. UAM combines the advantages of additive and subtractive fabrication approaches to allow complex 3D parts to be formed with high dimensional accuracy and smooth surfaces, including objects with complex internal passageways. The SonicLayer series of machines builds up to near-net shape using ultrasonic welding and completes fine detail through the use of onboard CNC milling. The hybrid machining steps give each facet of heat exchangers a smooth CNC surface finish. By using additive traits, UAM is also capable of creating fluid passageways with unique cross sections to achieve higher performance flow channels. The solid-state nature of Fabrisonic’s UAM bond allows for encapsulation of all manner of wires, fibers, and sensors into a metallic substrate. Since the metals do not have to be heated for bonding, electronics can be embedded without damage. This enables sensors, communication circuits, and actuators to be embedded into fully dense metallic structures for lasting security and reliability. For thermal devices, this means engineers can have thermal data at any point they want in a 3D printed part. When asked where he felt the heat exchanger market, Justin predicted that there will be a domino effect of industry acceptance and implementation, particularly in the aerospace and semiconductor industries. Fabrisonic has gotten closer to seeing its heat exchangers launched into space. Recently, Fabrisonic heat exchangers passed stringent NASA JPL qualification tests. You can read more in ‘Space-grade 3D Metal Printed Heat Exchangers‘, a recently published technical paper by Justin.